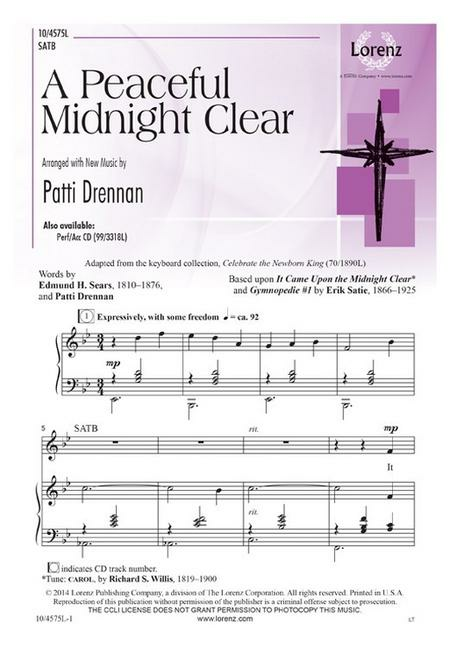 Composed by Patti Drennan. Choral. Sacred Anthem, Christmas. Octavo. Lorenz Publishing Company #10/4575L. Published by Lorenz Publishing Company (LO.10-4575L). With a melody from "It Came Upon the Midnight Clear" and an accompaniment based on Satie's immortal "Gymnopedie No. 1," this piece creates a blissful scene with a compelling message. 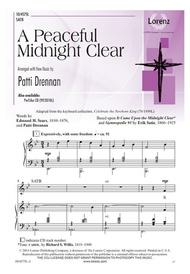 It is perfect for your Christmas worship and holiday concerts.